If we stand for anything, it’s dinner. The more special the more better. 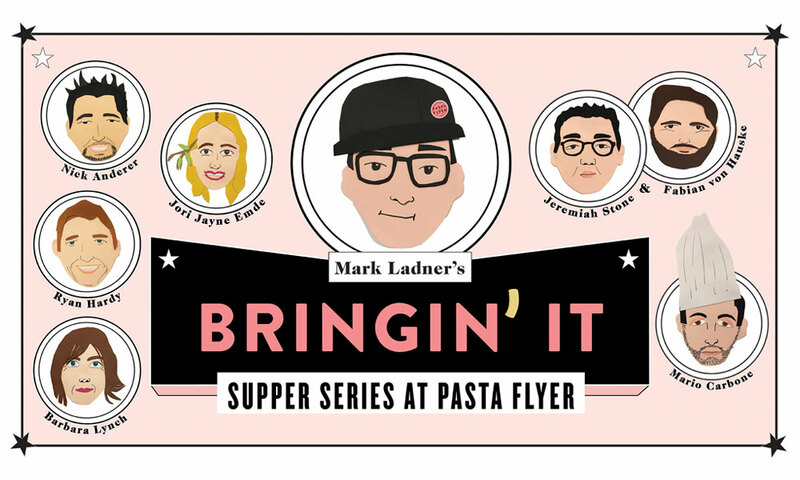 When we discovered Mark Ladner, pasta making magician of Del Posto and Lupa fame, was celebrating his one year anniversary of his fast-casual Pasta Flyer with a supper series we we’re psyched to say the least. 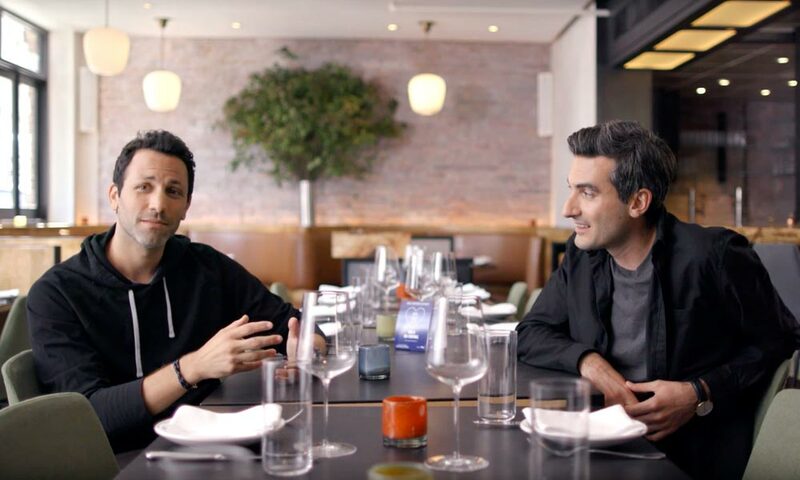 An already high-rotation, week day, post-workout, dinner for us because of the incredible value Mark and team bring to the literal table…Secret best meatballs in city, secret great wines by the glass…he’s crafted this dinner series with some of his best chef friends. From the likes of Mario Carbone to Maialino’s Nick Anderer to Barbara Lynch (who has the best oyster bar in Boston amongst her food dynasty) the menu creations are bound to be off the chain. We’re not sure what we’re most excited about. Two Italian’s in the same kitchen or a food storyteller augmenting the current Pasta Flyer menu. It looks like this was a Resy and Applestone collab too. Props to them as we recently were swooned by the 24/7 butcher. Tickets will undoubtedly go quick so make a move briskly. September 26th through November 7th in NYC. 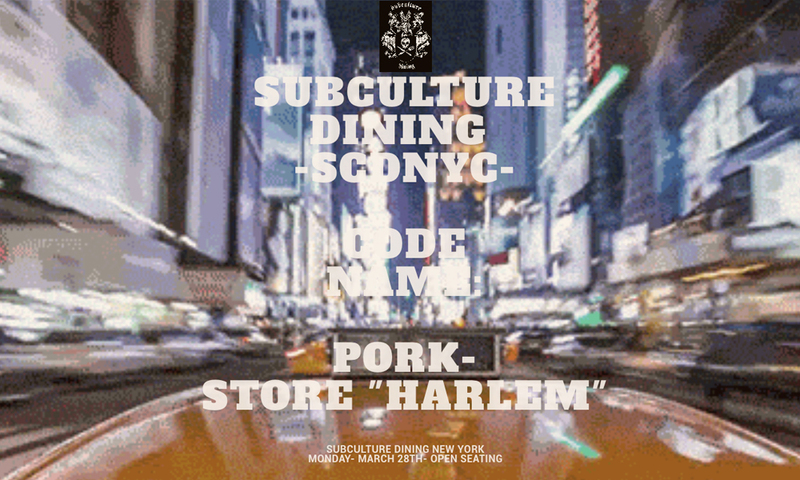 We can’t figure that much out about SubCulture Dining’s Pork Store Harlem except that it will be driven by Chef Russell Jackson, include 3 courses and NOT be in Harlem. Chef Russell is know mainstream for his appearance on Food Network’s Next Food Network Star competition. We love him because he’s cut from the same apron as us. Community, Food and experimentation drives his subculture dining events and he earns his rightful place amongst the underground dining grandmother sand grandfathers…uhhem. We’re excited for this east coast gathering and hoping there’s some rhubarb for old time sake ;). Monday, April 11 @ 6:00PM in NYC. Wait! Don’t go shopping today. Wait until tomorrow. Same goes for eating or at least eating out. Regular readers of FT know we’re buddies with The Infatuation crew. What you might now know is we’re equally long term fans of American Express. That’s why this collab was a must post for us. Plus, It’s innately a good thing to do. The Infatuation has curated some of the best deals on the Shop Small American Express site to get you both great (in many cases, hard to get) food while helping your local small biz stay in business. The team is hosting #DineSmall events at some of their favorite local restaurants in NYC, LA, DC, San Diego, Chicago and San Fran. Stay tuned November 26th as they open up the ticket sales. Saturday, November 26th from 3-6pm in various cities. Thanksgiving can be rough if your family lives far from the hustle we call home. Thankfully there’s tons of alternative families available to belly up next to and enjoy a feast that rivals the family back home. In fact, it might even be better given the family drama is organically removed from the equation. 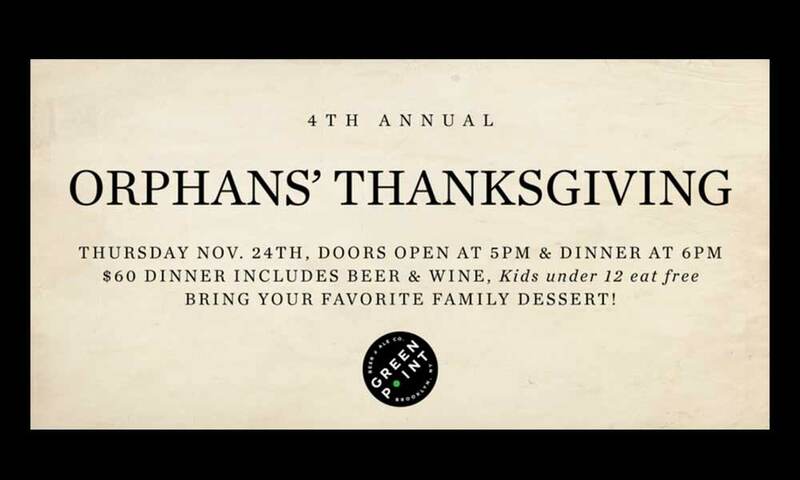 One of our favorites is Greenpoint Beer and Ale’s Orphans’ Thanksgiving. Now in it’s fourth year, a meal and a movie are included with every ticket. A dessert potluck is part of the evening so bring a winner. If that wasn’t enough, $10 from each ticket will be donated to The Greenpoint Soup Kitchen. Thursday, November 24, 5PM – 11PM in Brooklyn. You know how much we love film and TV inspired dinners. Graham Bellefeuille and Ty Cox are cut from the same cloth. 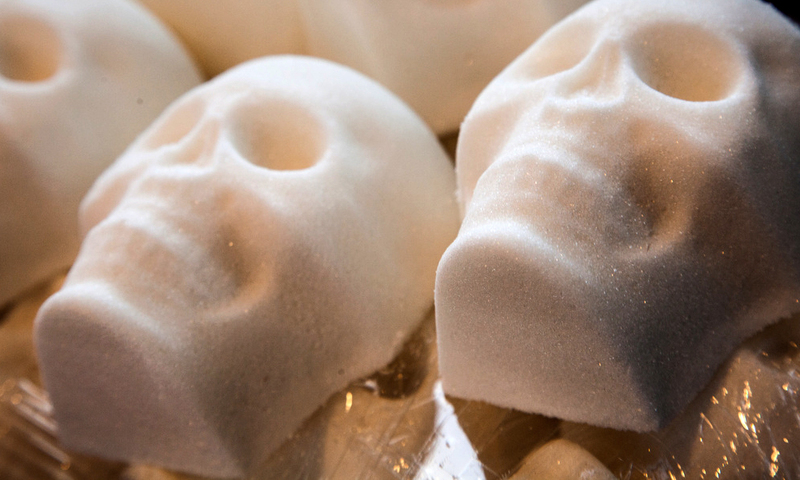 They created Guild of Cookery based on the medieval meals you’d find in Game of Thrones. Sans blood, gore and beheadings of course. 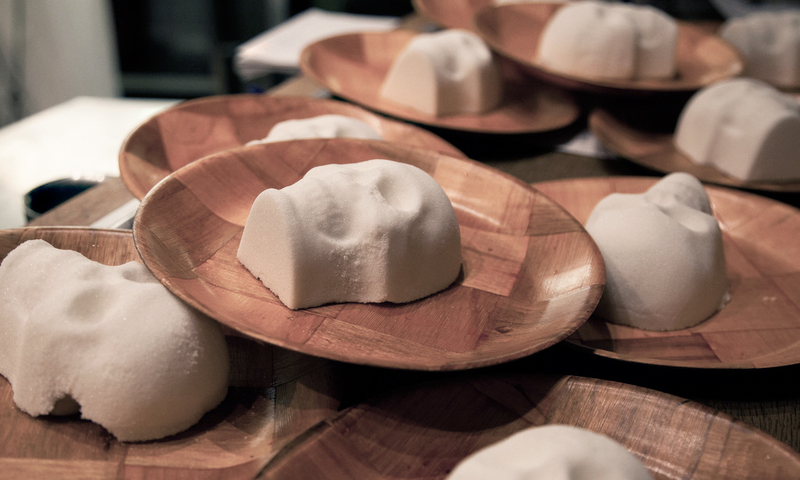 They honed their craft in some of the best kitchens in SF. Most notable, for us, Foreign Cinema. 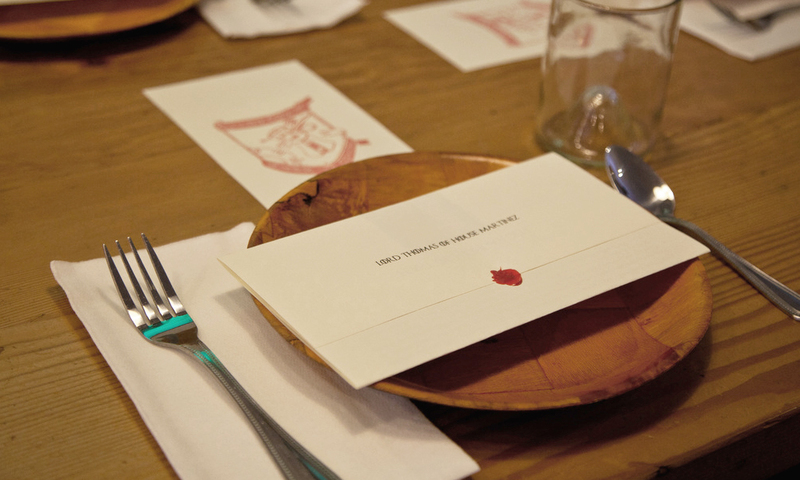 A place that inspired our supperclub. Given the impending new Game of Thrones season, we’re betting tickets will go quick.